“Toyota has always recognised the value of participating in motorsport as a means of developing ever more durable, reliable and exciting cars,” said Wayne Gabriel, Toyota chief marketing officer. “This is a philosophy that underpins Toyota Gazoo Racing that runs the global motorsports program – including the leading World Rally Championship team – which in turn, feeds into its development of our new sports and performance cars. “Harry Bates is a very talented driver who comes from Australian rallying royalty with his father, Neal, having won four Australian titles driving his legendary Celica GT-Four in the 1990s and then the Corolla S2000 in 2008. Going into the final ARC round at Rally Australia, Harry Bates is currently sitting second in the driver’s championship and is in contention for the drivers’ title, with Lewis in sixth place. 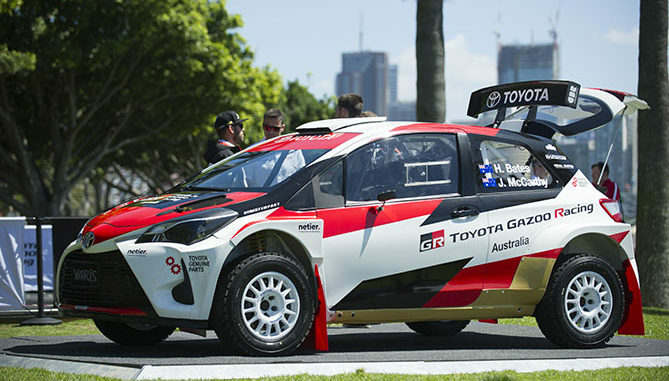 Team principal Neal Bates said he was proud to have had a long and successful partnership with Toyota and was looking forward to running the team under the Australian arm of the global Toyota Gazoo Racing brand. 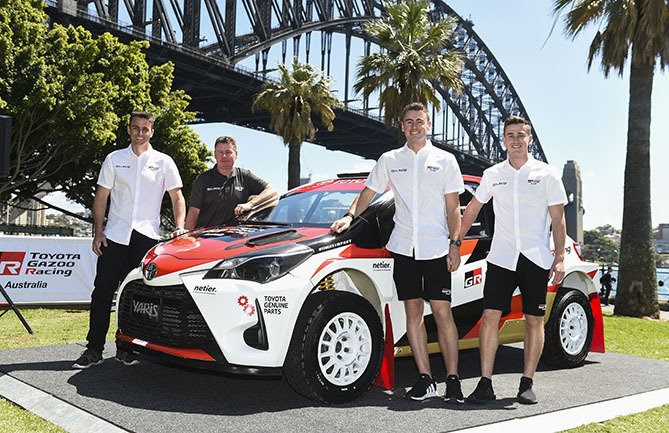 “Our long history with Toyota in Australia has been a great one for me personally with its support helping myself and Coral Taylor, my long-term co driver, to four Australian titles,” Mr Bates said.